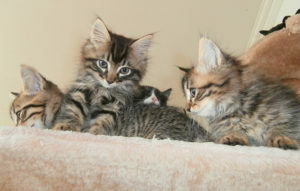 As cat owners, we all would like to keep our cats as clean and well groomed as possible. But this is easier said than done. Unlike dogs cats are well known for their dislike of water. 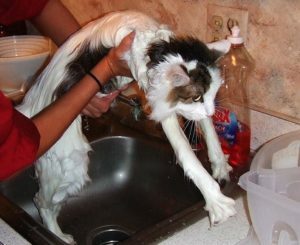 The question every cat owner may ask at some point is, how do you bathe a cat who hates water? And are you supposed to give cats baths in the first place? And yes just like any pet, cats do need to be kept clean, for their own health and welfare. Even though it is possible to give a cat a regular bath in the shower, it can be a trying experience. Most cats will feel a lot of stress in this kind of situation. When a cat is stressed they might begin to lash out and scratch the person who is trying to wash them. 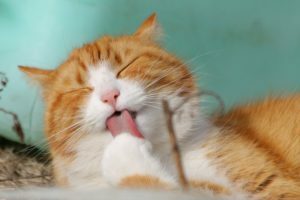 If you need to know how to give a cat a bath without getting scratched, a waterless cat shampoo might be the answer. A waterless cat shampoo (Buy Online) is a good alternative to a regular cat shampoo, especially for a cat who really hates the water. A waterless shampoo is one of the simplest ways to give a cat a bath since you can use it anywhere. Unlike regular baths which can be a real ordeal to prepare and execute, a waterless bath can be done in any room of the house or even when you’re traveling. A Waterless shampoo might be somewhat of a misnomer since these shampoos do contain water. 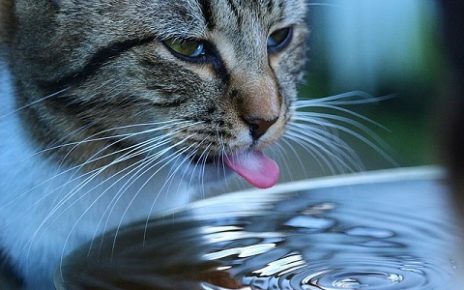 The amount of water your cat will be exposed to is minimal, and they probably won’t even feel it through their fur. What waterless cat shampoos should really be called, is a no-rinse cat shampoo. Since they eliminate the need to rinse off all the lather. For any cats that get infrequent baths, a waterless cat shampoo can be used in place of regular bathing. 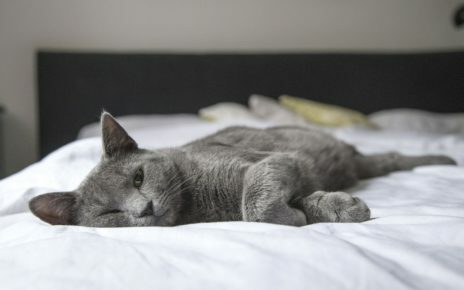 Using a waterless shampoo this way can keep a cat clean and smelling fresh, without having to go through the hassle of a normal bath or shower. Waterless shampoos have two different methods of application. You can either use a spray bottle applicator, or a foam applicator. In the following sections we will go over the pros and cons of each waterless shampoo application method. 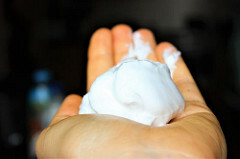 Waterless shampoos that have a spray applicator tend to be very easy to use. They use a misting nozzle to directly apply the shampoo onto the cat. Spray shampoos may also be used without even having to come in contact with your cat, which can be nice if they are really angry. 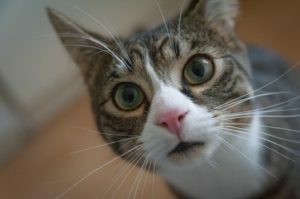 If you think your cat needs to be freshened up, a spray-on waterless shampoo may even be used sparingly like a perfume. One word of warning is that a spray on shampoo may provoke a cat. Since a spray-on shampoo can feel like a light mist of water. 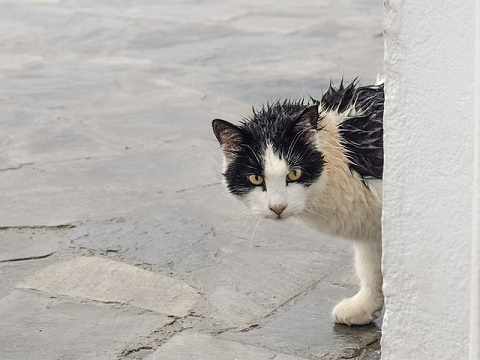 Your cat will know that they are getting wet if it hits any sensitive parts on their body. If you have a cat that won’t even tolerate a light spray, then a foaming waterless shampoo is a better option. Waterless foaming shampoos are really good at getting a cat as clean as possible without using any water. Foam shampoos are usually put on by hand and then lathered into a cats coat. 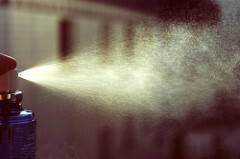 Unlike spray shampoos, they are not usually used for spot treatments or as a perfume. Applying a foam waterless shampoo can be a little more involved, but it will provide a deeper clean that is can rival a regular bath or shower. Prepare your cat in a comfortable environment, and try to limit any escape paths so they won’t be tempted to run away. If the cat seems restless, and you think they might not sit still, it would be a good idea to hold them. The most important thing is to keep the cat as comfortable as possible. Try not to make a big deal out of the process, so the cat doesn’t catch on and become stressed. Once you have your cat has settled down start by generously spraying the shampoo all over their fur. Always start from the back of the cat and then slowly move forward. The reason to start from the back of the cat is to limit any overspray that might land on the cat’s face and whiskers. If you’re careful with how you apply the shampoo the cat should be able to sit through the whole process. If the cat shows any discomfort when applying the spray, you should avoid directly spraying the parts of their body that are sensitive. In most cases, the head or paws will be the most sensitive parts of their body. If you need to clean those areas, you can apply some of the shampoo to a cloth and gently rub the moistened cloth onto that area. Once the spray has been applied to their whole body it can either be allowed to air dry. Or you can use a towel and lightly dry the cat off. If the cat is willing to stay a little longer, it might be a good time to gently brush them. Prepare a comfortable area to wash your cat. Pick a location where it won’t be a problem if some of the foam gets all over the place. And make sure the cat will be in an area where they can’t run away. The cat will also be lathered up for a short time, so there is the possibility they could try to shake off the foam, or bolt with the foam still on their body. When you are ready to begin washing your cat, you can start by dispensing some of the foam onto your hand. Then you should gently rub the foam into the cat’s fur and build up a good lather. Keep applying more foam as needed, and work your way down from the cat’s neck all the way to the end of their tail. If you want to get the deepest clean possible, you can brush the cat as you lather them up. Brushing them while they are lathered will help free up any lose dirt and hair from their body. As with any soap or shampoo try to avoid the cat’s eyes and ears to prevent any burning or discomfort. Also, if the cat doesn’t like having a large portion of their body lathered up, you can split up the process. A good split would be to do a small section of their body starting from the back and then dry each area before moving on. The drying process can be allowed to happen naturally by letting the foam simply air dry. Alternatively, you can gently towel the cat off if they let you. If the cat seems docile you can also brush them until they are completely dry. Brushing them dry will provide the best results since the fur will be exposed to more air, and it will remove any tangles. 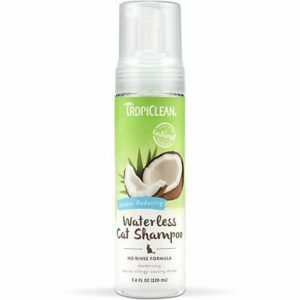 TropiClean Dander Reducing Waterless Shampoo (Buy Online) is a foaming waterless shampoo, for cats with dry skin or dandruff. 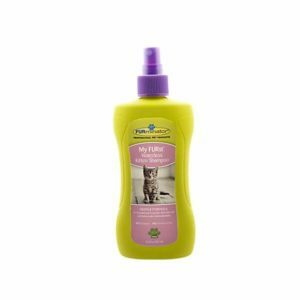 This waterless shampoo is specially formulated with oatmeal extract, making it perfect for cats that have dry and flaky skin. The oatmeal extract will help calm and heal dry irritated skin. 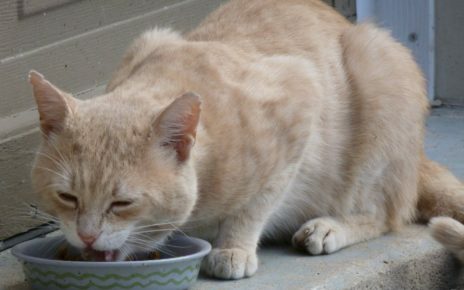 Which can prevent a cat that is itching and scratching, from having to suffer anymore. And not only will this shampoo keep a cats skin healthy and clean, it will keep them smelling fresh with its powerful odor neutralizers. 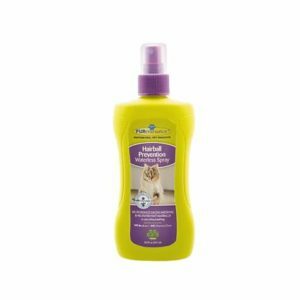 The John Paul Pet Waterless Foam Dog & Cat Shampoo (Buy Online) is made by the same people that make the Paul Mitchell brand of hair care products. 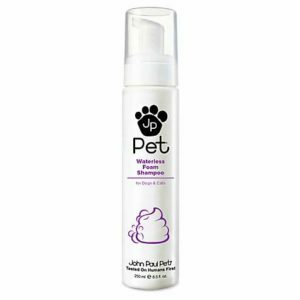 The John Paul Pet Waterless shampoo is a high-quality foam shampoo, infused with a wide array of beneficial botanical extracts. 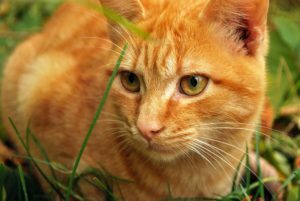 Some of the ingredients like aloe and oat protein extract will help heal and sooth a cats skin. While the other botanical extracts will keep your cat smelling fresh for weeks. And this brand of shampoo takes a strong ethical stance and is certified cruelty free. The FURminator Hairball Prevention Waterless Cat Spray (Buy Online) is perfect for people who need to control hairballs and shedding. This spray-on waterless shampoo will help restore the health and luster of a cats coat. The most important ingredients in this spray are the Omega 3 & 6 fatty acids. These essential fats will help nourish a cats skin and fur so it will be less prone to falling out. By strengthening a cats hair they will be less likely to lick off their hair when they groom themselves. And this will reduce the chance of them having a hairball problem, which is usually caused by a cat swallowing too much hair. This spray can also limit static cling, so cat hair won’t get stuck to everything in the house. 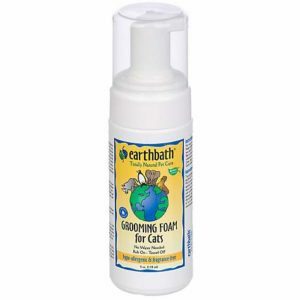 The Earthbath Hypo-Allergenic Grooming Foam for Cats (Buy Online) is a high quality all natural shampoo. This shampoo is specially formulated for cats with allergies or sensitive skin. It is fragrance-free and hypo-allergenic, so you don’t have to worry about any adverse reactions from sensitive cats. And if you have people in your house that are sensitive to fragrances or other additives, using this shampoo can benefit them also. The FURminator My FURst Waterless Kitten Shampoo (Buy Online) is a gentle spray-on shampoo. This waterless shampoo is specially designed for use on delicate little kittens. The shampoo is so gentle on their skin, it can be used anytime you want to freshen them up. The spray is also enriched with Kava extract and Aloe Vera, to keep a kittens skin and hair healthy, without the need to give them a harsh bath. 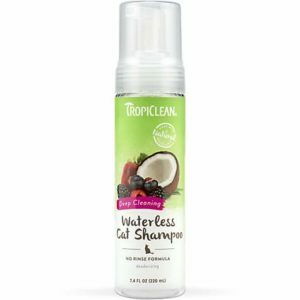 The TropiClean Deep Cleaning Waterless Shampoo (Buy Online) is great for cats that have odor problems. With the raspberry and mango extracts that help hydrate a cats skin, along with plum and cucumber scents your cat will be smelling great. This shampoo is also very gentle on a cats skin since it only uses natural coconut cleansers. And it has an oatmeal extract to sooth dry and irritated skin. If you need a cat shampoo that is gentle and smells great, this shampoo is a great option. 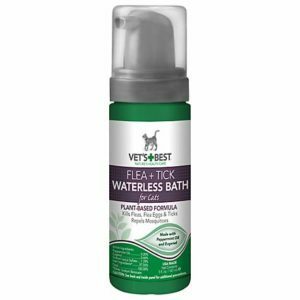 The Vet’s Best Flea & Tick Waterless Bath (Buy Online) is a good alternative flea bath for cats who can’t handle water. If your cat is having problems with fleas, ticks or even mosquitoes, this waterless bath will help keep them protected. Not only will this shampoo kill fleas and ticks. It will clean your cat just as well as any other spray on shampoo. It has a nice smell due to the peppermint and clove extracts that have been added to the shampoo. This shampoo also has an odorless calming scent to keep a cat relaxed during their bath. Great post! I remember the time I washed my cat in the bathtub because he decided to to somehow get covered in mud and dirt. It was an experience that I would rather avoid doing again. Ill give one of these a shot the next time I have to clean up my cat.